Smartphones can be awesome. A mini-computer that'll play Ride the Lightning whilst simultaneously pinpointing the exact geographic distribution of pileated woodpeckers and pulling double duty as a GPS device? Seriously…if you'd have suggested two decades ago that such a device might one day exist, the authorities would have tossed you into a padded cell. The only question is to how best mount that wondrous chunk of technology to your bike. It's hard, after all, to partake of all that awesome when the thing is slumbering away in the depths of your jersey pocket or hydration pack. There are plenty of options out there, most of which are designed to be exclusively paired with a specific smartphone case. 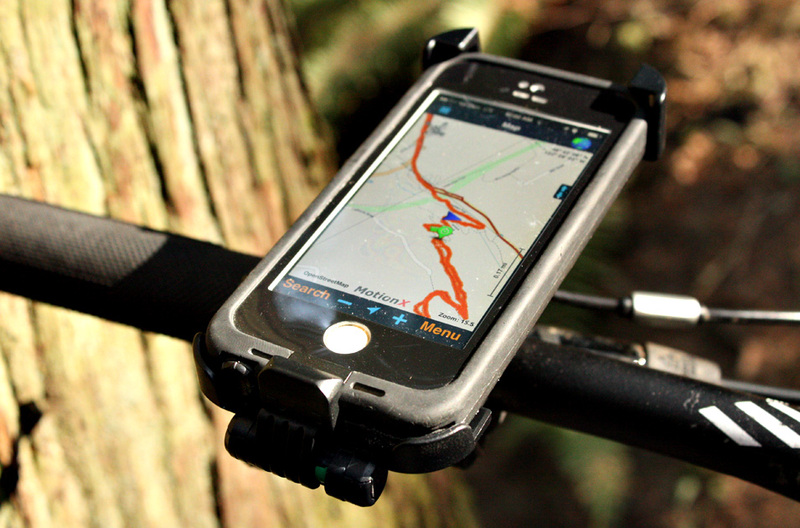 LifeProof's Bike and Bar mount is designed to work with the company's Fré and Nuud iPhone 5/5s cases. Those cases, in turn, serve as life insurance for iPhones. Sorry Android folks–I’ll have to pawn the droid-mount review off on another editor. But for those of you rocking Mr. Jobs’ creation, read on. I am massively destructive. That’s not a boast, but rather an admission that I have limited bandwidth when it comes to maintaining anything other than guns, cars or bikes. Though not perfect (look for a review in the near future) LifeProof's iPhone cases are nigh immune to water, dirt and tumbles. So how does the company's bike mount fare? 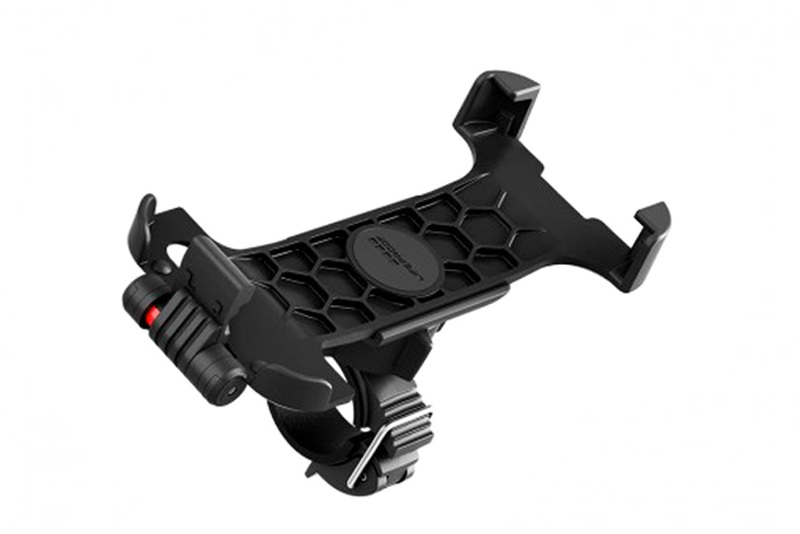 The Bike and Bar Mount is constructed of high-impact resistant plastic. 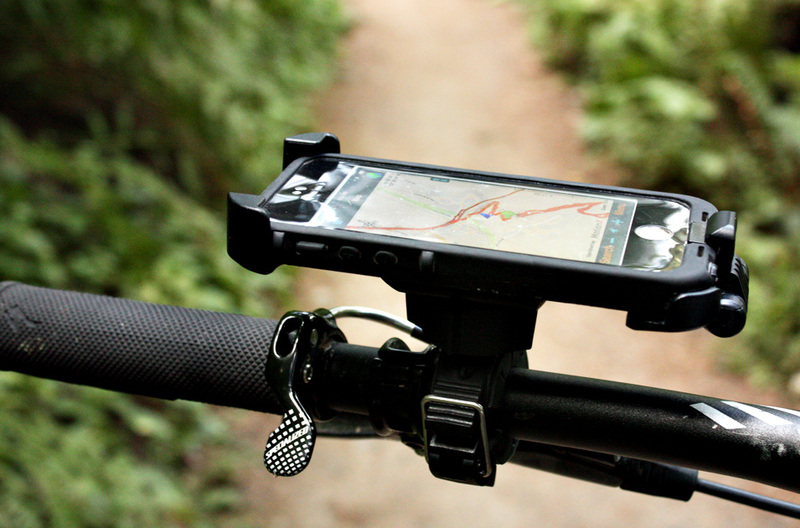 It's a straightforward system—your phone snaps into the cradle, which locks to your handlebar and swivels about via a ball-and-socket gimbal. Theoretically, you can affix the mount to either your stem or handlebar. I guess I run funky-shaped stems, because I found it a bit trying to mount it to my stubby, blocky stems of choice. Clamping it to handlebars, however, is a breeze. LifeProof includes three different rubber adaptors with the mount, the thickest of which gets the job done on your typical flat or riser bars. Since it takes all of four seconds to remove or install the mount, moving the device from bike to bike is refreshingly simple: Simple enough that you can buy just one LifeProof mount and swap it from steed to steed in your herd (assuming you follow the N + 1 rule of bike ownership). Once on the bike, the mount is remarkably stable. What could be better? Well, it's kind of huge. If you're running your phone in the horizontal position (in line with your handlebar), that's not a big deal, but if you prefer the vertical orientation, you can definitely knock the phone about with your knee when the riding gets rowdy. It's not a huge drawback, but I find myself looking at the much svelter QuadLock mounting system or the QuickMount version of the mount reviewed here and thinking, "Hmmm…I'm going to have to try that." Where does that leave us? If you're already invested in a LifeProof case, you're not going to regret spending the forty bucks for this mount. It's simple to use, can be passed around from bike to bike, and is reasonably solid. The LifeProof could be sleeker, sure, but does that one deficit merit moving to another iPhone case? We'll see.